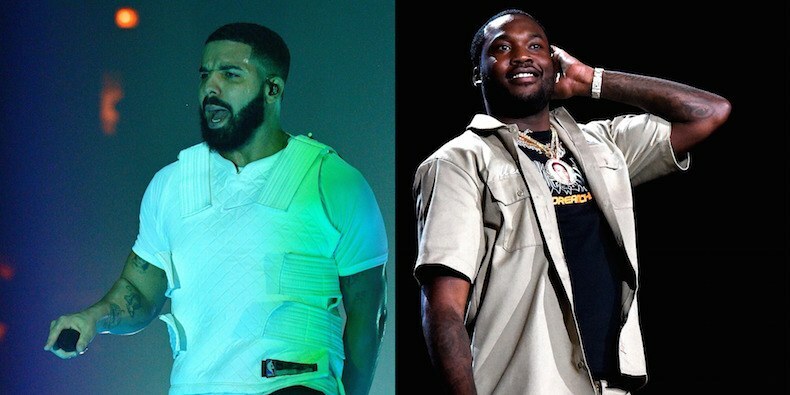 Drake and Meek Mill have confirmed that they have officially ended their feud after the Toronto rapper brought out the Philadelphia emcee at the Boston leg of his Aubrey and the Three Migos Tour. Recall that their beef started in 2015 after Meek Mill accused Drake of using ghostwriter following their 2015 collaboration “R.I.C.O.” The duo traded shots, the most vicious being Drake’s Back to Back, in which he eviscerated his opponent. The song got a Grammy nomination the following year. Now, the rapper has chosen to put their differences aside and make peace, and fans are super glad that the bitter face is over. 0 Response to "Drake Brings Meek Mill to His Boston Show, To Officially Squash Beef"